Vegan Nanaimo Bars anyone? They are more than just #Delicious! What’s inside Growing Fresh ChocoRoons? @ Heritage Park Centre, Clark Theatre, #33700 Prentis Ave., Mission, B.C. Downtown Abbotsford. 9 am – 9 pm. Fraser Valley Indie Festival – Chilliwack. SUMMER. POPSICLES. FUN!!! >>> June 24th, 11 am – 7 pm. Prospera Centre. #momopops Gourmet Popsicles and #growingfresh Super Snacks will be there. MomoPops – at the White Rock Farmers Market, Sundays 10 am – 2 pm. Lemonade by Growing Fresh @ the #maydayparade in #fortlangleyvillagefarmers market. May 22nd, 10 am -3 pm. Handpicked Vintage Market, Abbotsford, May 12th & 13th. I’m speaking. Saturday, April 8th. @12:00 pm. Saturday April 8th. @12:00 pm. This is Monika Serwa from Growing Fresh, Real Food Super Snacks. I almost forgot to tell you… I do educational demos as well. > WHERE: Abbotsford Community Library, #33355 Bevan Ave, Abbotsford, B.C. Come over to join me for informative demos, and yummy samples and handy handouts! Find Growing Fresh at these Spring 2017 Markets and Events! Since 2008, Make It has grown to become one of the most popular and well-attended craft fairs in Canada, with biannual shows in Vancouver and Edmonton. This massive growth would have never been possible without the support, enthusiasm, and love from our amazing community. Each year, more and more conscious shoppers buy from our Makies, which in turn allows them to do the work they love. I have an announcement for you. 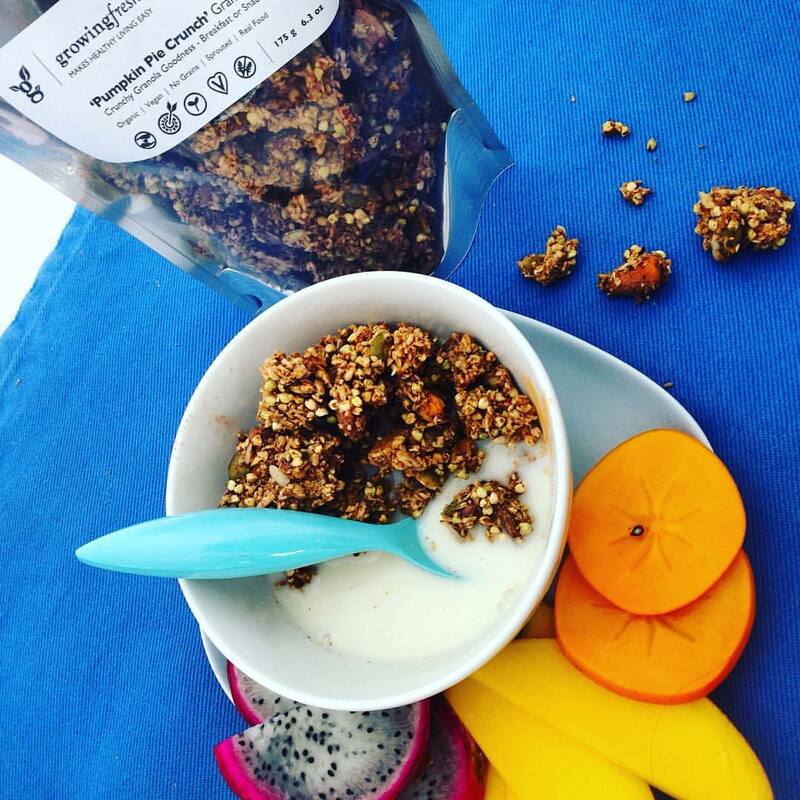 A new PICK UP location for Growing Fresh Raw Vegan Snacks & Treats orders will be available in January 2017. I believe this pick up will be more convenient for you. *** Please allow 48 hrs for order processing. You will be notified by email or text when your order is ready for pick up. • CHEQUE or CASH at pick up at the above location (Please write cheques to: Monika Serwa). BONUS DEAL: For all pick ups at this location your total will $1.50 less than the advertised price per package, i.e. if you have ordered 4 packages please deduct $6.00 from your total advertised price. This offer is valid till January 31st, 2017, while quantities last. • Pumpkin Pie Spice or Ginger Bread Spice or Cinnamon Crunch Granola – Breakfast or a Great Travel snack. • Almond & Goji Berry Chocolate Macaroons aka Choco-Roons – Very Popular with women for some reason 🙂 Based on an Energy Bar recipe. 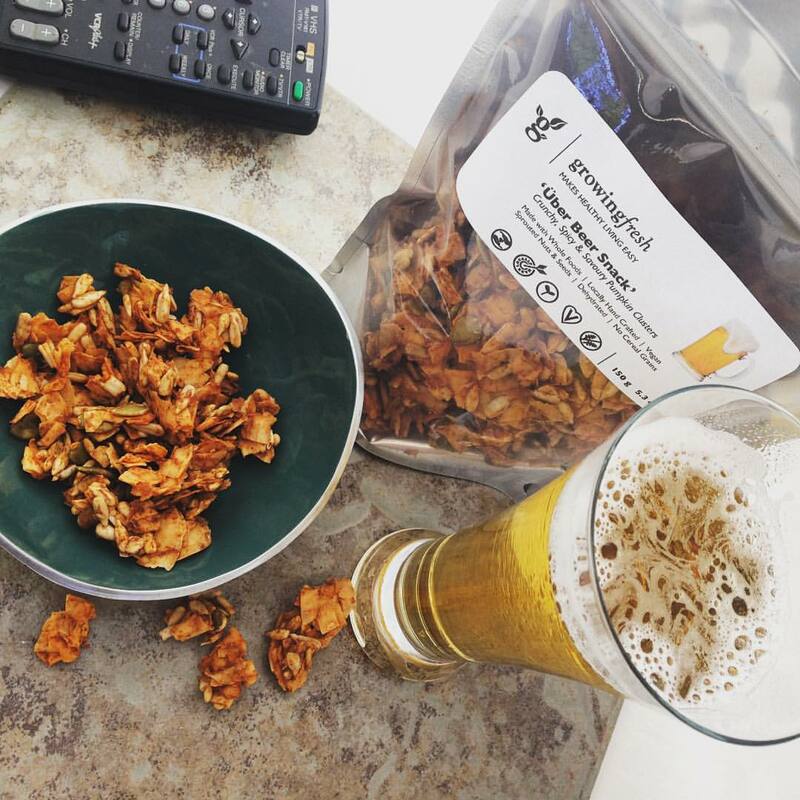 • Über Beer Snack – Spicy and Savoury Coconut Seeds Clusters – Strangely Very Popular with mostly Men 🙂 and women too! A great pairing with your favourite beverage or maybe a salad topper too! @ Croatian Cultural Centre, #3250 Commercial Dr, Vancouver, B.C. @ Fort Langley Community Hall, #9167 Glover Road, Fort Langley, B.C. @ Murrayville Hall, #21667 48th Ave Langley, B.C. @ Highstreet Mall, Abbotsford, B.C. @ Coast Chilliwack Hotel, Chilliwack, B.C. @ Wise Hall in Vancouver, #1882 Adanac St, Vancouver, B.C. @ Ocean Park Community Hall, #1577 128 St, Surrey, B.C. 45th Deer Lake ‘Festival of Lights’ Holiday Market – Nov. 18th, 19th, 20th. @ Shadbolt Centre for the Arts, #6450 Deer Lake Avenue, Burnaby, B.C. Chilliwack Christmas Market – Nov. 18th, 19th, 20th. @ Chilliwack Heritage Park, #44140 Luckakuck Way, Chilliwack, B.C. > Port Moody Farmers Market, Indoors Winter Market. Port Moody Recreational Complex, #300 Ioco Rd, Port Moody, B.C. #36035 North Parallel Rd, Abbotsford, B.C. CHECK IT OUT ON ETSY!!! @ Tradex, Abbotsford, by the Airport. #1190 Cornell St, Abbotsford, B.C. @ @ Chilliwack Heritage Park, #44140 Luckakuck Way, Chilliwack, B.C. @ Heritage Park Centre/Clarke Theatre # 33700 Prentis Ave, Mission, B.C. @ Quality Hotel, #36035 North Parallel Road, Abbotsford, B.C. Fermenting & Culturing Foods with Monika Serwa @ FVRL Abbotsford, Click HERE FOR MORE INFO. Thursday, Oct. 6th, 6:30- 8:30 pm. My Fall 2016 Markets – Sept. + Oct. + Nov.
Visit our ‘SALES& EVENTS’ to find us near you! Fresh Fruit. Whole Fruit. Organic. Vegan. #momopops.ca These will be available for licking Aug. 6th & 7th at the YVR Food Fest. 12 pm – 8 pm. Olympic Village Vancouver.‪#‎yvrfoodfest‬. Meatless Meetup – Saturday, July 9, 2016: 11:00 AM to 1:00 PM. Fort Langley Lunch & Museum Visit. Whole Food. Real Food. Organic. Delicious. We have the HEALTHY you want AND the TASTY you crave. Sweet | Savoury | Spicy | Crunchy – We have it all covered! • Cinnamon Crunch Granola – Everyone’s favourite flavour choice, most purchased.• Chipotle Crunch Granola – Granola with a Savoury Flavour, lightly seasoned with Chipotle Sauce.• Pumpkin Crunch Granola – Pumpkin Pie Spices in a crunchy granola, becoming very popular quickly.• Ginger Crunch Granola – Ginger Bread Spices, another highly likeable & popular favourite.• Flax Crax – Light Crackers with a ‘Stir Fry Flavour’. 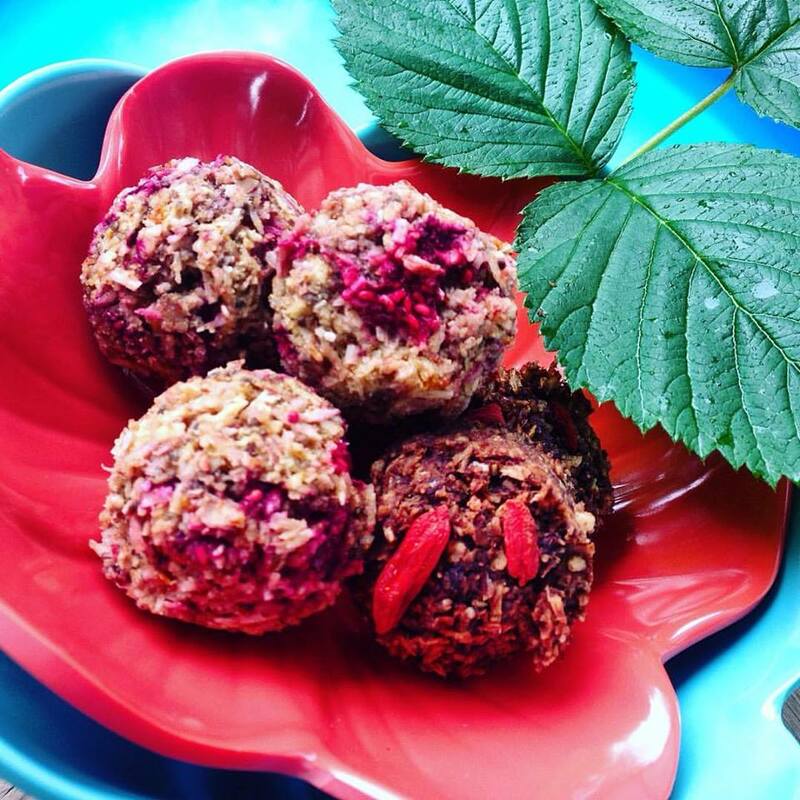 • Hazelnut Goji Berry Macaroons – Little Energy Bar Bites sweetened with fresh fruit juice & dried fruit only. • Hazelnut Goji Berry CHOCO-ROONS – Just like the above Macaroons with a nice Dark Chocolate hint from Raw Cacao Powder. Monika Serwa @ Silver Hills Bakery Natural Foods. The Truth About Cancer – Free Docu-series – WATCH THEM NOW! Thank you “Bite Size Vegan’ for doing this for us ALL!! !